Lookie what came in today!!! Check it out--some of our newest, Custom-Designed Photo Booth Signs! 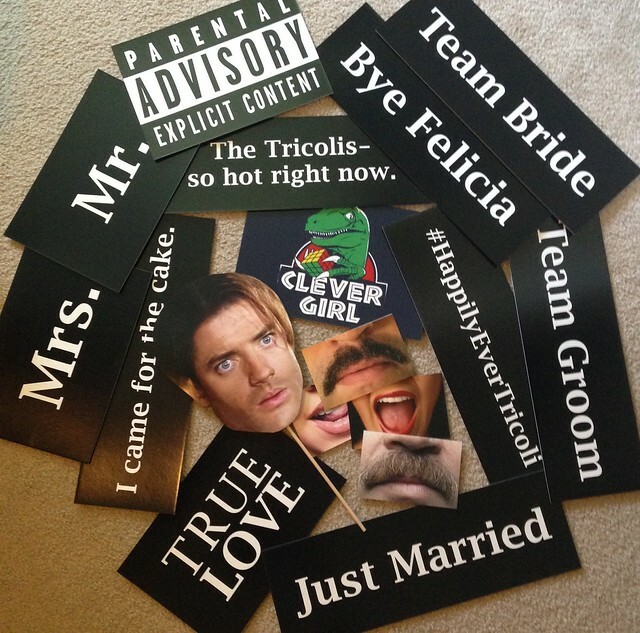 You can also see some of the Tricolis' special ordered signs in the mix too--ready for their upcoming wedding reception in August!